16 parts sample-based synth workstation. Over 5,000 sounds and 8 GB of samples. Built in 32 DSP effects - 5 per instrument. The largest collection of vintage synths ever assembled into one product. Many times the sonic power of the most expensive hardware workstations. 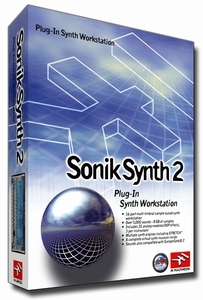 Sounds compatible with SampleTank® 2.